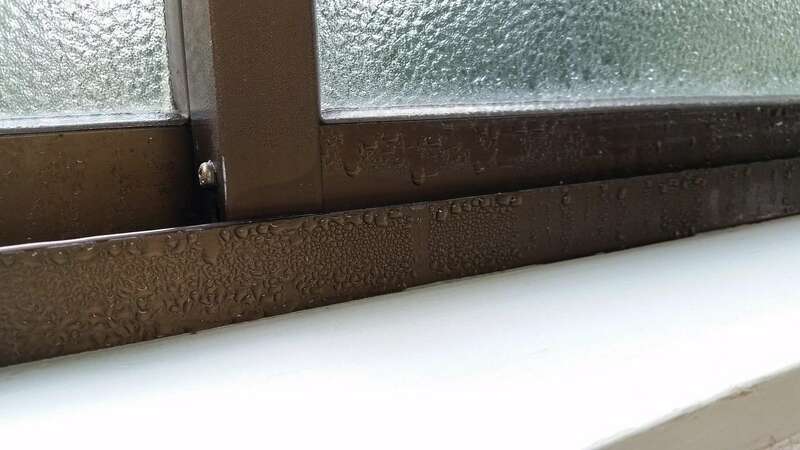 January 24, 2019 /in windows /by John L.
Here at Weather Tight, we get a lot of questions about condensation buildup on windows. First of all, it’s important to know: window condensation doesn’t always indicate there’s a problem with the window! The window can be perfectly installed and sealed tight and window condensation may still occur. It’s a natural phenomenon for windows brought on by cold air from the outside and warm air on the inside of your house (something we all face regularly here in Wisconsin). But window condensation still becomes a nuisance and can be an eyesore to homeowners. Here’s why window condensation occurs and what you can do to combat the buildup of condensation on your windows. Condensation, or tiny droplets of water, build up on your windows. It’s certainly a bit unnerving when you suddenly notice your window is wet or the windowsill is damp. This leads many people to worry the windows are leaking or not working properly. First, the good news is, when you see the buildup of condensation on your windows, it’s totally normal. This occurs when a cold surface temperature meets warm air. The glass between the outside and the inside becomes covered in tiny droplets of moisture. The moist air is actually coming from inside the home, not a leak from outside. Weather forecasters describe the condensation phenomenon as the “dewpoint.” It’s when a cool air mass meets a warm air mass. With the right dewpoint or humidity in the surrounding air, water (or in the case of weather, rain) is going to occur. Window condensation doesn’t necessarily mean your window is broken or defective! In fact, it’s simply a natural occurrence, similar to the mirror in your bathroom fogging up during a shower or the “sweating” you see on glassware filled with an icy beverage. Even with condensation, the window can still perform as it’s supposed to—bouncing heat off the glass in the wintertime and keeping the heat inside your home. Your home can be stable and warm, and your heating bills low, yet you may still see condensation on your windows. In the summer, your windows keep the warm air outside and the cool air inside, but with a lot of humidity in the home, you may still see window condensation. Rot and mildew of the windowsill. Mildew and damage to the window trim and caulk. Moisture damage to the paint and surrounding furniture. Check out our video on window condensation for more information. While window condensation is a natural occurrence, it’s still not ideal. There are factors in your home that may contribute to the condensation. By understanding the cause, you can start to troubleshoot a solution. What Causes Condensation Build Up on Windows? There are many aspects of your home and lifestyle that contribute to window condensation. Often, people notice condensation in the winter months because the house is more closed off, trapping moisture. Over the humid summer, moisture builds up in the house and at the beginning of the heating season, you see more condensation. Homes with recent construction and newer building materials may also contain extra moisture adding to the window condensation, but the moisture will usually dissipate after the first few months of heating. Homeowners can control or prevent some of the causes of window condensation. Others may require you to work around. Here are the leading causes of window condensation in your home. Yes, YOU could be a major part of the window condensation issue. Humans are made up of 60% water and exhale approximately a cup of water into the air each day. While a cup seems like a minor amount, a family of four exhales a gallon of water every four days. It’s easy to see how this adds up quickly. However, short of holding our breath, there’s not much we can do about the amount of water we give off. When you shower, water naturally goes into the air. This is especially true of a hot shower which gives off steam. Lowering the temperature of your shower and running the bathroom fan will make a big difference in dispensing the moisture. Still, if the mirror in the bathroom is fogged after you shower, chances are your windows will show condensation as well. Laundry is another source of moisture in the air of your home. If you wash clothes in hot temperatures, steam and hot water will escape into the air. If your washer drains openly into a sink or drain in the floor, even more water is getting into the surrounding atmosphere. This is why laundry rooms and basements often feel damp. Washing your clothing on a lower temperature will eliminate a little of the moisture. Avoid air-drying your clothes indoors, which adds to the moisture too. Cooking, running the dishwasher, and the sink all contribute to window condensation. A boiling pot of water on the stove, a slow cooker, or a rice cooker give off steam, causing moisture buildup on your windows. Running your kitchen fan whenever you’re using the stove or a water-related appliance helps to keeps the air dry. Check all plumbing leaks and take care of them right away. Just like humans, our furry companions also give off moisture in the air. Additionally, water dishes and fountains are another source of water in your house. Do you own a fish tank? Evaporation from the tank contributes to condensation in the surrounding air as well. This is why fish owners often see condensation on the top of their aquarium. Plants give off water in a process known as transpiration—essentially, evaporation through the plant leaves. An oak tree gives off an unbelievable 40,000 gallons of water in a year! Now, chances are, you don’t have an oak tree in your living room, but if you own several houseplants, you may see increased window condensation even from smaller greenery. Often people with health concerns and allergies are told to run a humidifier in their home. Humidifiers are especially effective for those with asthma and respiratory issues. Often, humidifiers are even recommended by doctors. In Wisconsin, our average outdoor humidity is around 72% and stays fairly consistent throughout the year. Inside your home, the relative humidity varies based on temperature and all the factors listed here including, of course, the use of a humidifier. Comfortable home humidity levels are usually around 30-40%. The heat registers in your home also affect the levels of window condensation. Many registers are located right beneath windows in your home. When the furnace kicks on, it’s blowing warm air and moisture right onto the surface of the window above. This creates the window condensation you see on the glass. Newer homes built in the last 30 years feature standard six-inch-walls filled with insulation. In newer attics, you’ll see 20-30 inches of insulation. These newer homes were designed to hold in heat and keep temperatures consistent inside. One of the effects of the extra insulation is keeping humidity and moisture inside the home…resulting in window condensation. Older homes may not have the same issues, but older musty basements and other issues also contribute to window condensation. Depending on where you live and the water table you live on, you may also experience water coming up from the ground and pressing on your foundation. If your basement has a sump pump, for example, or simply feels “damp,” it may add to the moisture in the air of your home. If you’re close to a body of water, you may see more water in the air as well. Now, the above factors all play a role in the window condensation of your home, but for most of us it’s impractical to rearrange the heat registers, throw out our plants, or give up showering and cooking. Window condensation is a result of living comfortably in our homes. Fortunately, there are a few ways to combat window condensation easily. If you own a ceiling fan, turning it on will keep the air circulating and reduce condensation buildup on your windows. In the winter, reverse the direction of your ceiling fan to run clockwise on a lower speed. This will draw cool air up and push warm down. When you’re cooking up a storm or taking a hot shower after a long day, run your ventilation fans. Check the crawl space in your attic to ensure your fan is ventilating properly. If the moist air is blowing into your attic, you will run into other problems. On warmer days, you may also want to keep a window cracked in those rooms while you’re showering or cooking. Blinds, drapes, and curtains trap moist air close to your window and increase the buildup of window condensation. By keeping your window coverings open as much as possible, you’ll increase the air circulating around your windows. Check the thermostat in your home and turn down the humidity control level. Many newer digital thermostats, like the Aprilaire offer a humidity control feature. Many homeowners overlook this easy ability to control the humidity in their home. If you haven’t checked your humidity levels recently, but notice window condensation, turning them down is an easy way to counteract moisture. Lastly, if humidity and window condensation continue to be an issue in your home, you may want to purchase a dehumidifier. These units aren’t too expensive and really help decrease the moisture in your air before it becomes a further problem in your home. Window condensation isn’t indicative of a window problem but it can become a nuisance. 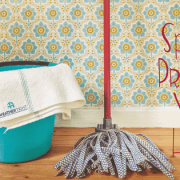 Use these tips to cut back on the extra moisture in your home and keep your windows dry all season long! Post image licensed for use via Pixabay. 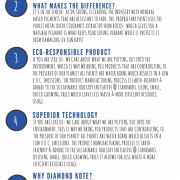 Diamond Kote Siding - Upgrade Your Home Today! Santa Claus is coming... to Weather Tight! Summer Fun with Weather Tight!